A CROWD of around 4,000 took advantage of the excellent weather to enjoy the sights and sounds of the 2014 Japanese Festival of Children's Day. 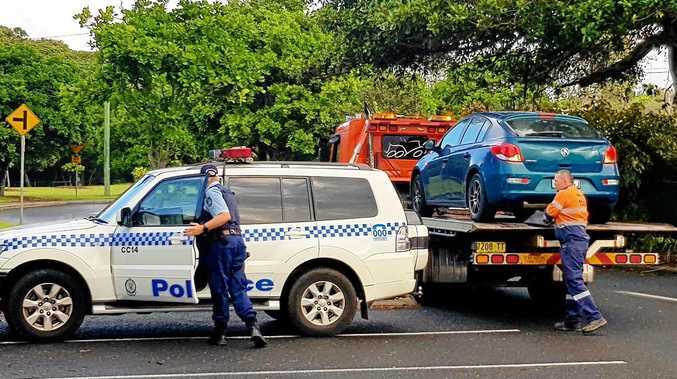 "It was yet another successful, colourful and vibrant community celebration of our city's diversity," Coffs Harbour Mayor, Councillor Denise Knight, said. 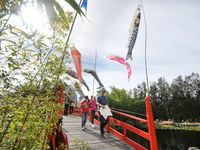 "The Taiko drummers were as breathtaking as ever, but there were also impressive karate demonstrations, beautiful bonsai, amazing carp, an array of Japanese food and lots of fun family activities. 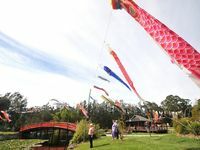 "It was wonderful to see so many people turn out to enjoy the occasion and to celebrate our cultural links with Japan through our long-standing partnership with our sister city Sasebo." As expected, the Kizuna Gold Coast Taiko Drummers were a massive hit at the North Coast Regional Botanic Garden, mesmerising the crowds with their powerful drumming. Other great crowd-pulling activities included watermelon-smashing and doughnut-eating competitions, kite-making, calligraphy and face-painting. There were lots of delicious eats on offer, but the Okonomiyaki savoury pancakes made by the Coffs Harbour branch of the Australia-Japan Society were in particularly high demand. 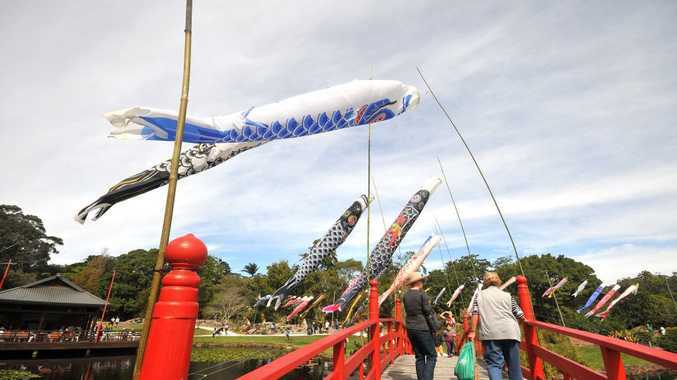 The Japanese section of the Botanic Garden, which was decorated with 200 Koinobori Carp Kites - a present from Coffs Harbour's sister city Sasebo - made it the perfect setting for the Festival. 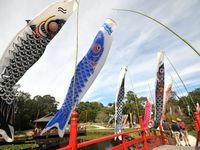 The Japanese Festival of Children's Day is an annual event put on by the Friends of the Botanic Garden and Coffs Harbour City Council. In Japan, 'Children's Day' has been a day of celebration for centuries and celebrates the well-being of children. On 'Children's Day', Japanese families fly their own Koinobori kites outside their homes and around their towns and cities.